Get Vintage-Correct, Late '50s Humbucker sound with the SH-1 '59 Model bridge pickup from legendary manufacturer, Seymour Duncan. This pickup comes in white and includes a four conductor cable. 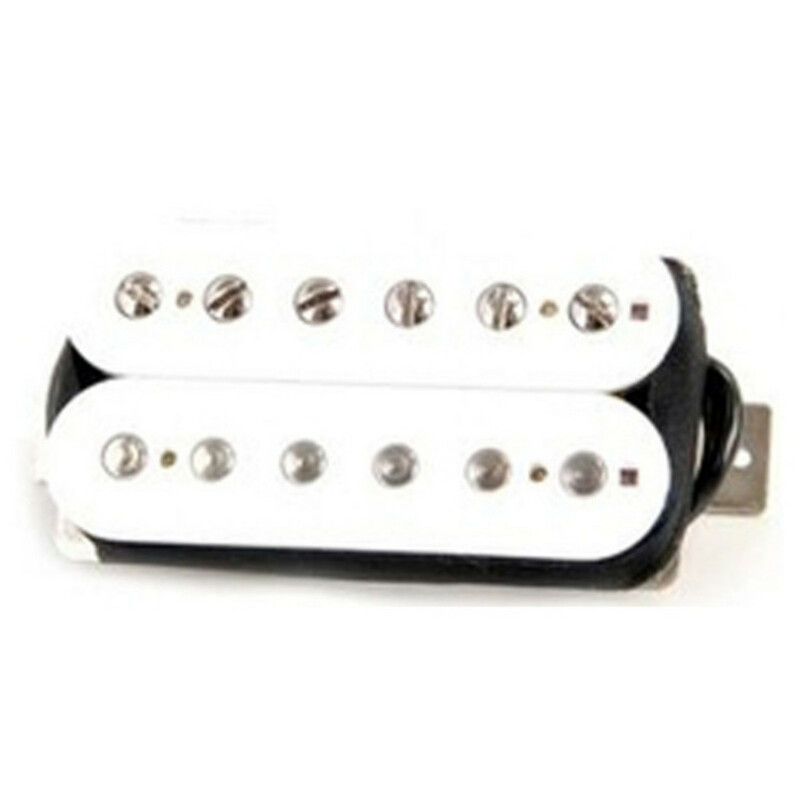 This Seymour Duncan SH-1 '59 Model Bridge Pickup, White, is a versatile P.A.F.-type humbucker. It works great for country, jazz, funk, blues, classic rock and heavy rock. If you're looking for some classic late '50s sound, the SH-1 boasts vintage-correct, humbucker tone. Expect Warm and crystalline clean tones or full and bright distorted tones, and admire its smooth sustain. The pickup includes classic appointments like a plain enamel wire, long legged bottom plate and no logo. The '59 has slightly more scooped mids, compared to the SH-55 Seth Lover, and is vacuum wax potted for a performance free of squeals. This pickup is designed for balanced and warm instruments and works especially well with mahogany bodies and rosewood fingerboards.